In a single serve or sharable size, LALA® Blended Yogurt is a delightfully yummy family favorite. How do you make Mangos better? By blending bits of them into LALA's protein and calcium-rich creamy yogurt! 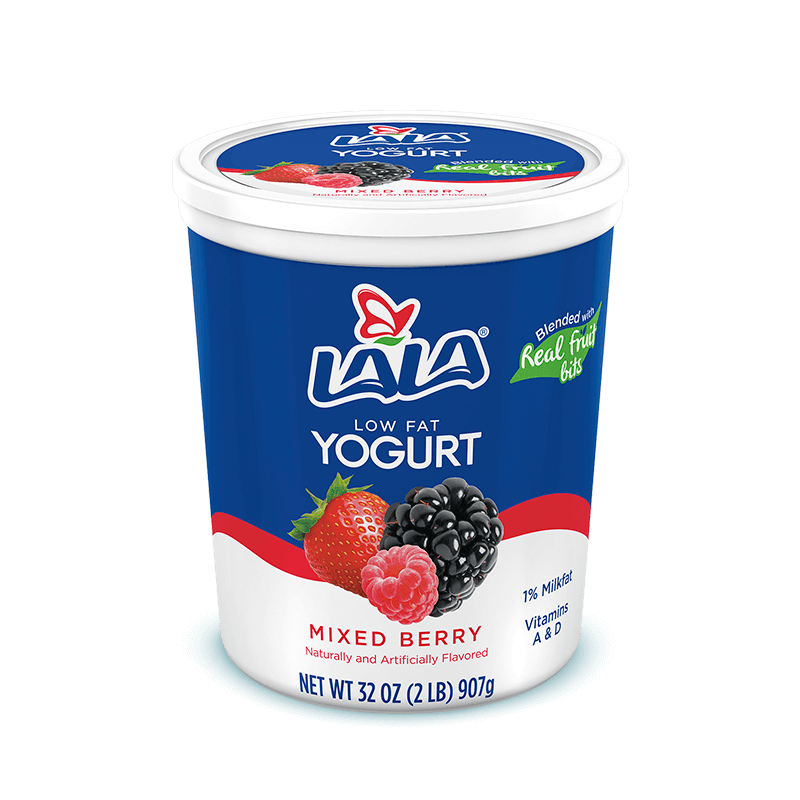 These mixed Berries and creamy LALA® yogurt weren't just going to mix themselves. It was our pleasure. What do you get when you swirl perfect peaches with yummy, creamy yogurt? LALA's Peach yogurt, of course! Real bits of Pineapple and Coconut blended with creamy yogurt turn snack time into a mini vacation! Plain doesn't mean boring. To us, it means creamy, tasty and packed with Calcium and Protein. Viva plain! 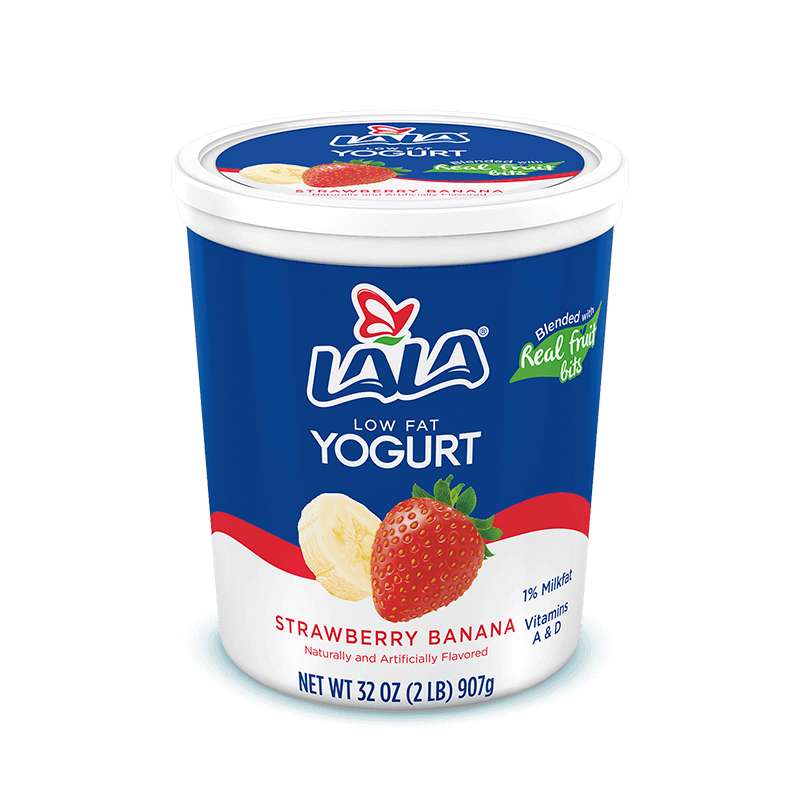 We've blended real bits of Strawberry and Bananas into the yummiest, creamiest yogurt around. We're Bananas for it! 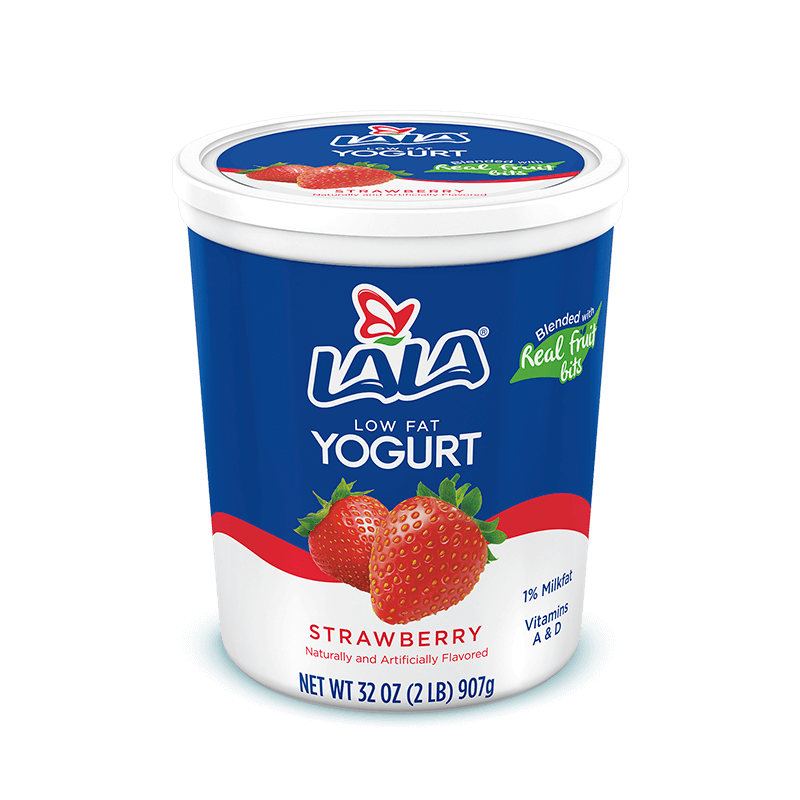 Strawberries LA-LA-LOVE being blended into our rich and creamy yogurt. Your favorite classic flavor is now your favorite yogurt! 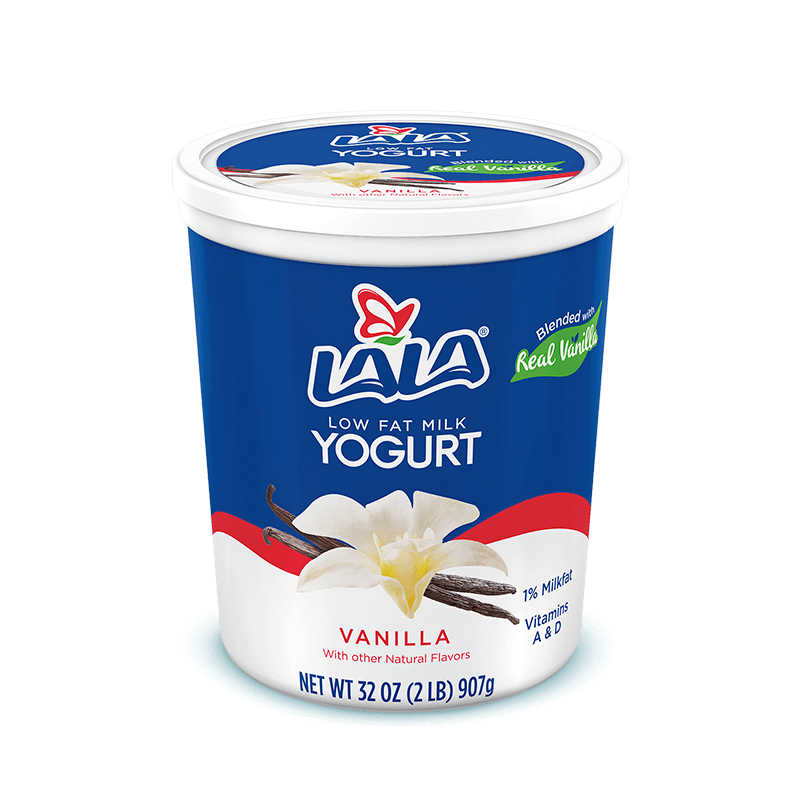 Made with real Vanilla and no HFCS, it’s a joyful delight!